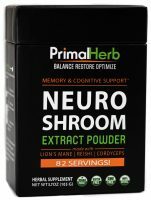 The entire content included in this site, but not limited to text, graphics or code is copyrighted as a collective work under the United States and other copyright laws, and is the property of Primal Herb. The collective includes works that are licensed to Primal Herb. Permission is granted to electronically copy and print hard copy portions of this site for the sole purpose of placing an order or purchasing Primal Herb products. You may display, download or print portions of the material from the different areas of the site solely for your own non-commercial uses. 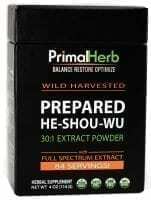 Any other use, including but not limited to the reproduction, distribution, display or transmission of the content of this site is strictly prohibited, unless authorized by Primal Herb. You further agree not to change or delete any proprietary notices from materials downloaded from the site. Primal Herb shall not be liable for any special or consequential damages that result from the use of, or the inability to use, the materials on this site or the performance of the products. The statements made on this website have not been evaluated by the FDA (U.S. Food & Drug Administration). The products sold on this website are not intended to diagnose, treat, cure, or prevent any disease. The information provided by this website or this company is not a substitute for a face-to-face consultation with your physician, and should not be construed as individual medical advice. Applicable law may not allow the limitation of exclusion of liability or incidental or consequential damages, so the above limitation or exclusion may not apply to you. In the event that a product is mistakenly listed at an incorrect price, we reserve the right to refuse or cancel any orders placed for product listed at the incorrect price. Primal Herb reserves the right to refuse or cancel any such orders whether or not the order has been confirmed and your credit card charged. If your credit card has already been charged for the purchase and your order is cancelled, Primal Herb shall issue a credit to your credit card account in the amount of the incorrect price. Your use of this site shall be governed in all respects by the laws of the state of Nevada, U.S.A., without regard to choice of law provisions, and not by the 1980 U.N. Convention on contracts for the international sale of goods. You agree that jurisdiction over and venue in any legal proceeding directly or indirectly arising out of or relating to this site shall be in the state or federal courts located in Las Vegas, Nevada. Harassment in any manner or form on the site, including via e-mail, chat, or by use of obscene or abusive language, is strictly forbidden. Impersonation of others, host, or representative, as well as other members or visitors on the site is prohibited. You may not upload to, distribute, or otherwise publish through the site any content which is libelous, defamatory, obscene, threatening, invasive of privacy or publicity rights, abusive, illegal, or otherwise objectionable which may constitute or encourage a criminal offense, violate the rights of any party or which may otherwise give rise to liability or violate any law. You may not upload commercial content on the site or use the site to solicit others to join or become members of any other commercial online service or other organization. You agree to indemnify, defend, and hold harmless Primal Herb, its officers, directors, employees, agents, licensors and suppliers (collectively the “Service Providers”) from and against all losses, expenses, damages and costs, including reasonable attorneys’ fees, resulting from any violation of these terms and conditions or any activity related to your account (including negligent or wrongful conduct) by you or any other person accessing the site using your Internet account.